Expungement or record sealing is the process of requesting that the courts and/or law enforcement agencies seal or destroy criminal records. The definition of expungement or record sealing varies by state and the benefits of expungement or record sealing will vary. In many instances when a record is expunged or sealed, it cannot be viewed by the public and the applicant does not have to disclose any past criminal activity. If your conviction was in federal court, you cannot have your conviction expunged. However, some states, such as Arizona, will allow you to petition to have all of your civil rights and gun rights restored after a federal conviction. WARNING! Many people trying to clear their record get scammed by using a non-attorney to expunge or seal their record. Do not waste your money, give your confidential information, or blow, what may be your only chance to clear your record by using anyone other than a licensed attorney. The internet is a great way to find a qualified attorney who can expunge or seal your criminal record at an affordable price. However, there are also several scam sites posing as attorneys. They call themselves “form processors,” “paralegals,” or a “legal service;” some go as far as to lie and say they are attorneys. Do not allow non-attorneys to take your money, waste your time, access your confidential information, let you become a victim of identity theft or blow what might be your only chance to clear your criminal record. As opposed to general practice attorneys, expungement attorneys are trained specifically in expungement law and know that getting your record expunged is important and can have a lifelong affect on you. An expungement attorney will make sure the job is done right and, what may be your only chance, is not blown. You can find dozens of good expungement lawyers on the internet who are qualified to help you clear your record. It is best to work with an attorney who specializes in record clearing. Here are some tips on choosing the best attorney to clear your criminal record. In some cases, you may not be eligible for expungement, and your last option would be to apply for a pardon. Pardons are extremely rare, and considered a ‘last resort’. On average, less than 1 in 5,000 pardons are granted in the U.S. However, it is free to apply for a pardon in almost every state. 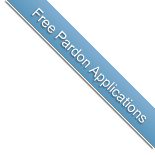 You can obtain pardon forms for your state by clicking here. 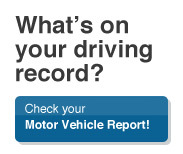 In general, most states have similar requirements to remove your criminal record. These requirements are only a guideline and are not set in stone and vary by state. The best way to find out if you are eligible for an expungement, record setting aside, or other methods of clearing your record is to take an online eligibility test or speak with an attorney.